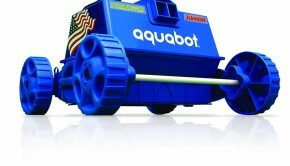 Aquabot X4 Robotic Pool Cleaner Review: Great Value! Summary: The Aquabot X4 won "Best Value of 2015" for good reason. This unit cleans as well as many top-end units, for hundreds less. With a 3-year warranty, to boot. The Aquabot X4 is designed with simplicity, performance and efficiency in mind. 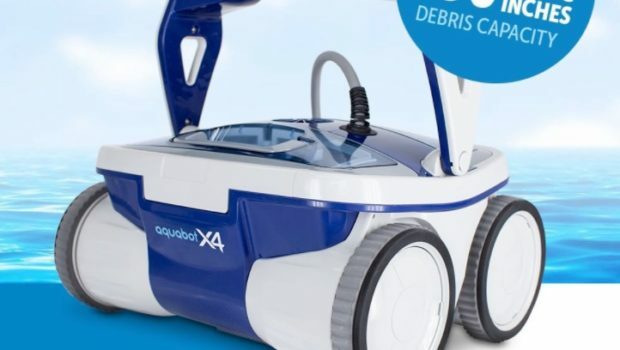 In terms of price and value, the X4 falls in-between high end robotic cleaner models like the Dolphin Quantum that cost over $1,000 and cheaper/simpler above-ground cleaners like the Aquabot Pool Rover Jr. and the Dolphin Escape, which cost up to $500. While it may lack some of the features of more expensive robotic pool cleaners like the Dolphin Premier, the Aquabot X4 nevertheless performs about the same – and offers exceptional value. The X4 is flexible too. It’s easy to program for any schedule or cycle time and is suitable for use in above ground and in-ground pools of up to 60 feet. One of the biggest factors behind the X4’s cleaning performance are the extra-powerful motors driving the unit’s pumps. Both the motors and the pumps are built to high industry standards, ensuring top notch performance. The X4’s main pump ingests pool water at a rapid 85 gallons per minute, which is enough to filter every drop of a 20,000 gallon pool in about 4 hours (not that it will actually do that in practice). High performance motors also mean less chance of failure and a more thorough cleaning cycle. 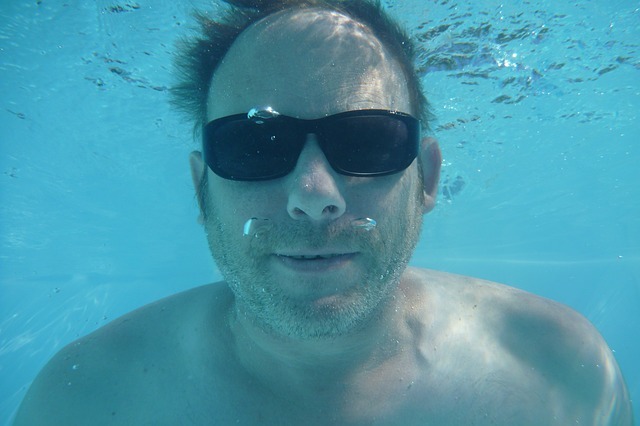 The Aquabot X4 filters are just 2 microns in size, meaning that even the smallest particles will not be left in the pool. Even algae and bacteria are captured, along with leaves and twigs. To hold collected debris, the unit comes with two baskets that can collectively hold 190 cubic inches of debris and silt. The advantage of this is that you do not have to change the baskets as often. When a basket is full, you’ll be alerted via the control panel. Lifting the unit out of the pool and cleaning it is a breeze. Most debris and muck in a pool is stuck on the walls and bottom, with only a tiny bit of it floating on top of the water’s surface. That’s why a pool cleaner needs to be best at scrubbing and sweeping flat surfaces. 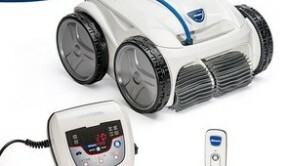 To do this, the Aquabot X4 uses advanced rotating micro brushes. As the unit moves along in the pool, the brushes remove accumulated grit, sand and grime from the walls and bottom, ensuring a thorough clean. 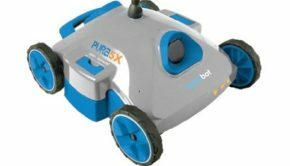 The X4 is especially good at cleaning up to and including the waterline and in corners, where many robotic pool cleaners fail. The X4’s extra-long 60 foot floating cable is connected to a 360 degree rotating swivel, to ensure that the cable never gets tangled during cleaning. No matter how much it turns and twists, the swivel does a great job preventing tangles. The Aquabot X4’s powerful 4-wheel drive system gives its non-marring “sticky” wheels an extra boost when in action. The sticky foam-like rubber wheels can drive the unit across pools of any shape and traverse the pool wall for a thorough clean. The Aquabot X4 lets you program when it will run – whether you are around or not. You can set the unit to clean every 2, 3 or 4 days. You can also connect the unit to an external timer. Additionally, you can adjust the length of the cleaning cycle to accommodate your seasons. Available options include 1 hour, 1.5 hours and 2 hours. The Aquabot X4 receives high praise in most verified owner reviews, online. 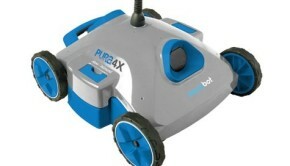 Many owners rank the X4 as the best robotic pool cleaner they have ever used, with excellent cleaning. Some say it outperforms more expensive models at a significantly lower price. Honestly, it’s tough to find serious customer complaints of any kind. There have been a few complaints about cheap/shoddy plastic parts – but most robotic pool cleaners get similar complaints from time to time. And, some owners claim it’s a bit expensive to repair. There are also a few complaints that the unit is not able to clean inside of 90-degree wall seams very well, and that it misses steps, from time to time. Overall, though, the Aquabot X4 seems to be performing extremely well for the vast majority of its customers. Top access, clear view filter baskets. Cleans 450 square feet per hour. AutoXTM Pool Mapping for efficient cleaning regardless of pool shape. 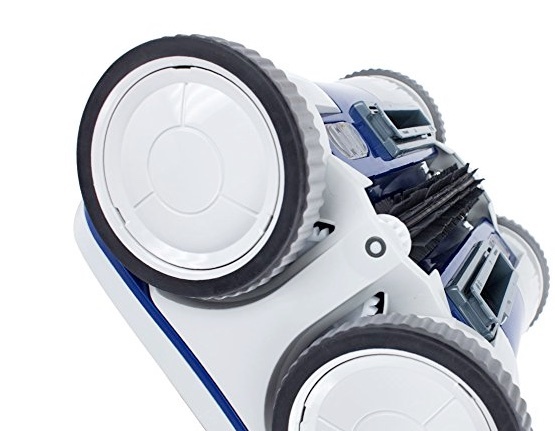 The Aquabot X4 is definitely one of the best values around for a robotic pool cleaner that can handle any type/shape of pool and clean up and through the waterline. The X4 usually sells for $100-200 less than $1,000, even though the unit’s performance is on the same level as other models costing $1,000-$1,400. 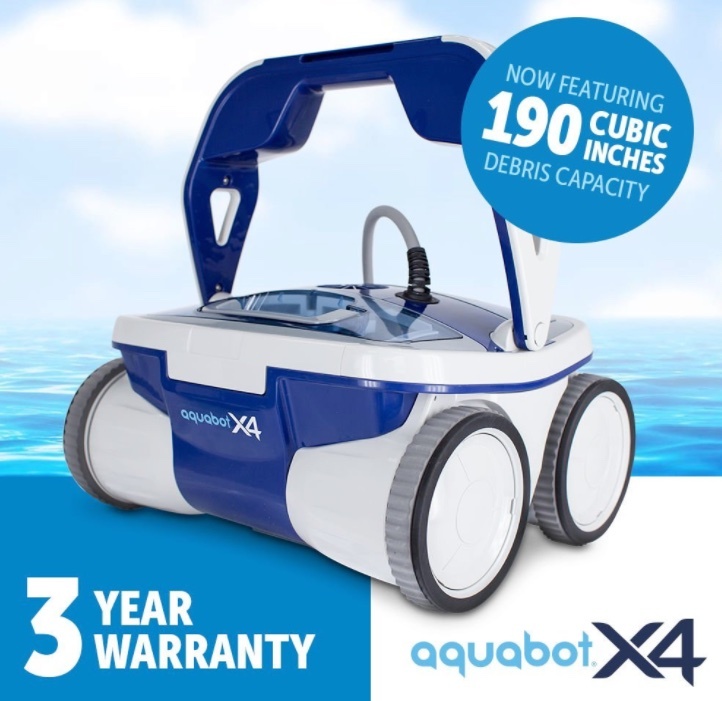 If you are looking for a robot pool cleaner with a big filter capacity that cleans really well all the way to the waterline, and you don’t care about bells and whistles like remote controls LCD screens, then it’s hard to go wrong with the Aquabot X4.